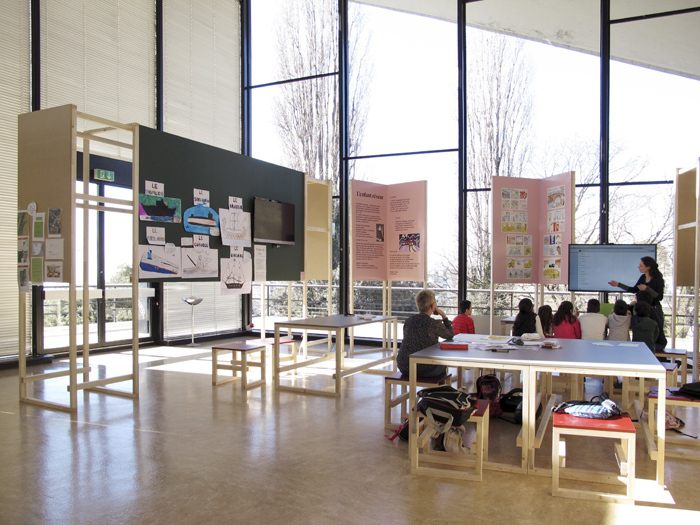 Statement: «Speculative practices have existed throughout the history of design, most notably in architecture, but only a few graphic designers have positioned themselves in contexts where they are able to pursue explorations built on speculation and uncertain ground. This could be the result of numerous unsympathetic conditions deeply rooted in graphic design practice, including the commission structure within which most work happens. Traditionally, a client comes to a designer with a brief, to which the latter responds by offering possible options for solving the already-established problem. When a client has some kind of financial investment in the situation and wants a viable outcome, “What if?” is not often a comfortable starting point. Thus, speculative projects tend be self-initiated efforts, proposals within academic contexts, or simply unrealized inquiries. 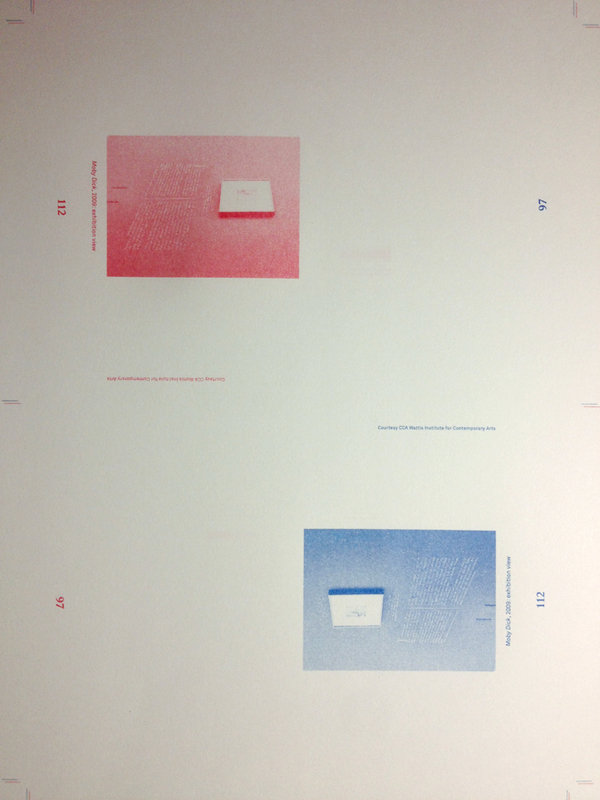 All Possible Futures explores speculative work created by contemporary graphic designers. It encompasses everything from self-generated provocations to experimental work created “in parallel” with client-based projects to unique practices where commissions have been tackled with a high level of autonomy and critical investigation. 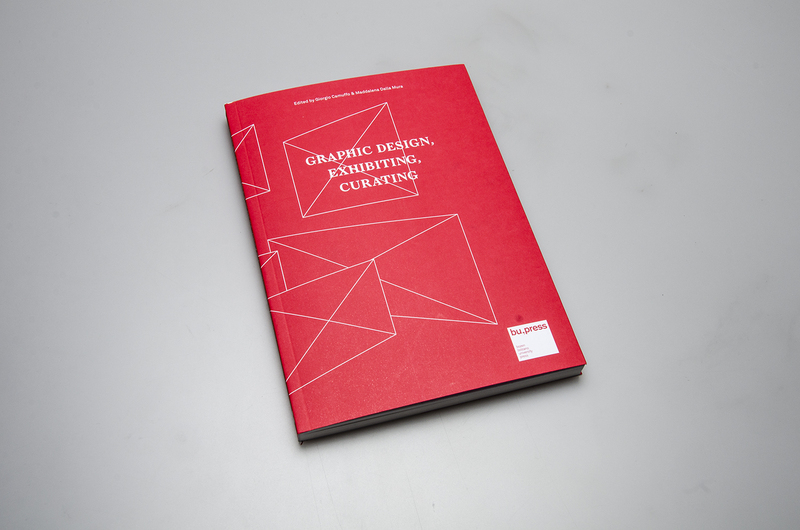 The work highlights different levels of visibility and public-ness within the graphic design process. Some projects were made for clients and exist in a “real world” context, while others might otherwise have gone unnoticed: failed proposals, experiments, sketches, incomplete thoughts. All Possible Futures also looks at how graphic designers have expanded the parameters of the field by consciously taking a transdisciplinary approach, and by considering physical interaction within an art-gallery context. The featured designers are both American and international, and all of them in one way or another consciously question the established boundaries of design concepts, processes, technologies, and form. They position themselves as authors of autonomous critical projects, and they maintain conceptually rigorous, research-based, historically informed practices. Statement of the designer: «Notre atelier a conçu l’identité visuelle et la communication de cet événement. En collaboration avec le scénographe Laurent Pavy de Gabarit, nous avons élaboré la conception graphique et la signalétique de l’exposition. Dans le cadre du concept visuel élaboré sous la direction artistique de Demian Conrad, nous avons produit différents supports de communication, tels que l’affiche F4, brochures, flyers, oriflames, etc. 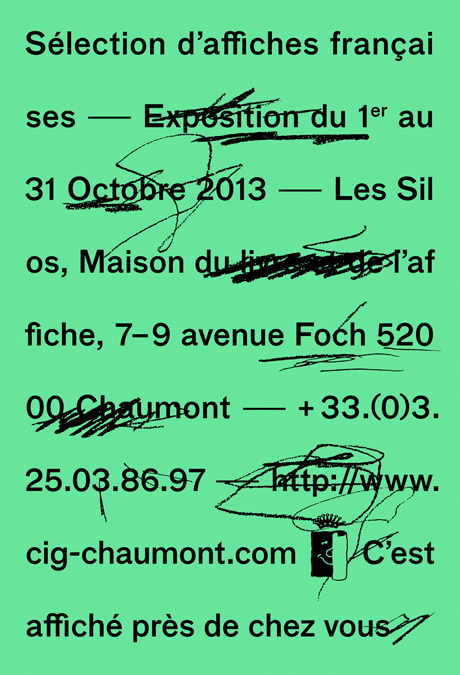 Statement: «The Typorama exhibition showcases thirty years of creation by the French graphic designer Philippe Apeloig. It was probably his passion for literature and the performing arts that awakened his interest in graphic design. He discovered this form of expression while he was studying art in Paris, and especially in Amsterdam in the early 80s when he joined Wim Crouwel’s Total design studio. His career began in 1985 at the Musée d’Orsay, for whom he did work for the opening and designed the poster for the museum’s first exhibition, Chicago, birth of a metropolis. Intent on giving typography a conceptual and emotional dimension, Philippe Apeloig has turned the letter into an artistic and painterly object in a field often regarded as merely technical and functional. For him, typography can be choreographic for the October Festival in Normandy, musical for the Théâtre du Châtelet, and landscape in his poster for Voies navigables de France. The many logos he has designed include Musées de France, and recently the Petit Palais in Paris and Maison Puiforcat. The proceedings of the conference Graphic Design, Exhibiting, Curating held on June 26, 2012, are now available for purchase from BU Press catalogue. Your book The Designer as Author, Producer, Activist, Entrepreneur, Curator, and Collaborator: New Models for Communicating was released this year (BIS Publisher). As the title suggests, it deals with different facets of the designer’s role. The main thread connecting all of these facets is design authorship. So let’s begin from this notion, and your interest in it. Steven McCarthy: As you can tell by the book’s introduction, it is a topic I have been interested in for a long time, beginning with an exhibition I co-curated in 1995-1996, called Designer as Author: Voices and Visions, with my colleague at the time, Cristina de Almeida. The idea we had been talking about for a year or so concerned our observation of the confluence of activities like designing, writing, self-publishing, and of designers’ increasing engagement with content and meaning. We therefore sent out a call for entries for a juried show. We were amazed at the reception: there were a lot of submissions, especially by people with big reputations and at the vanguard of that kind of engagement. In February 1996 the exhibition opened, just two months before the appearance, on the pages of Eye magazine, of Michael Rock’s influential article “The Designer as Author” – he mentioned our exhibit but just in passing, he didn’t even mention our names. Anyway, my personal interest in design authorship has been there for a long time. And I have myself continued to make work that is self-authored, where I define the topic and give it form; this kind of work often takes the form of books or other kinds of alternative narratives, like short videos, posters, web sites and so on. Some of these works are now in good museum, archive and library collections. The first chapter in your book opens with the paragraph “Design authorship explained”. Why did you feel the need to explain an idea which is quite widespread nowadays? SM: Design authorship sometimes defies definition because of its multi-faceted aspects and that’s why I state in the book that it is not a style, nor a genre, but it is really a kind of engagement. 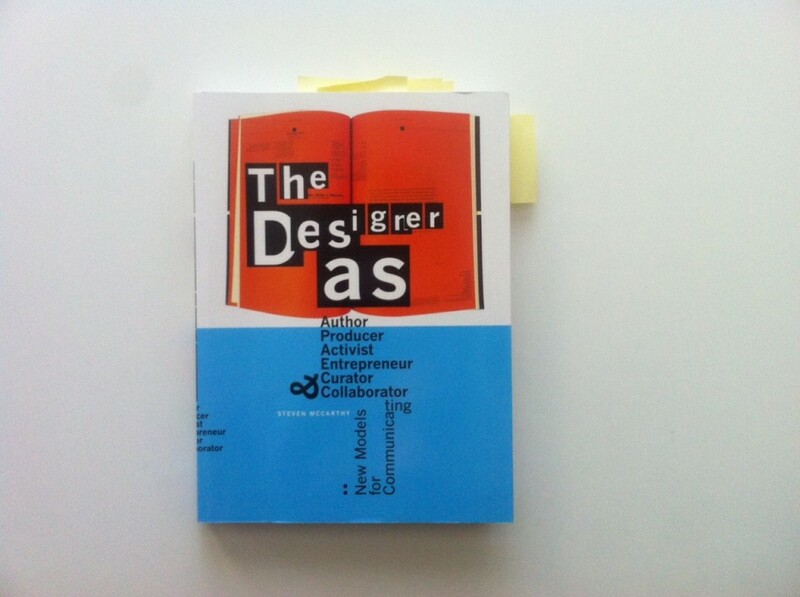 It is an expansion of the designer’s voice from being an allegedly neutral or objective form-giver and problem solver – always client-oriented – to being more engaged with what his or her designs mean, with who they are for, why they are being made – the message, the audience, the context –, and to finally initiate their own work. In design authorship, there might not even be a client, there might purely be the designer’s message and voice which wants to get out there. But authorship can also regard client-oriented work when the designer personally engages in a project because s/he views the communication as a shared enterprise, and not just the client’s one-way message. So again, it is a complex thing and there are many definitions and no single correct one. Is it important to advocate design authorship today, two decades or so after the idea of authorship as such emerged and spread? SM: Well, as you say, it was certainly in the mid-1990s that a critical mass developed about these issues, not least due to the introduction of desktop publishing, which, particularly thanks to the Macintosh, gave designers the integrative tool, where writing and designing and printing could all be manifested in the same device. The nice thing about the Macintosh was that in a single integrated platform you could write, edit, proof, design, illustrate, scan and do photography, as well as use a laser printer to make small additional prints for yourself. This is why in the book’s introduction I use the year 1984 as a convenient starting point of design authorship and I think it holds up, although you could find points earlier than that too. Of course you can see evidence of authorship that goes as far back as the nineteenth century – think of William Morris. In the 1990s, however, there were a number of projects, articles, exhibitions where people were talking about it and the phenomenon was noticed. What happened then was more self-awareness, critical mass, and a confluence of different publications and voices. After the intense debate and interest in the 1990s and in the 2000s, people moved on to other things. They were interested in interactive media, the web, flash-based animation, and social network gaining tools. But even there you can find evidence of authorship. So, to answer your question, my book attempts both to offer a historical bolstering of the theories around design authorship and to acknowledge and discuss design authorship as not tied to a medium or a process, as open-ended, flexible and more about an approach or an attitude. In the introduction you also recall how the very first relationship you had with the idea of authorship happened when you were writing and preparing your thesis, for which you were required to find a topic, develop research, take photographs, and so on. Now that you are an educator, do you think design authorship as a concept and approach is particularly valuable in the field of education? SM: Absolutely. I think authorship should be an integral part of design education. I usually have both my graduate and undergraduate students define their own topics, identify an area of inquiry they want to work on and investigate it, research it, give it a visual form. So when we have critiques it is not just about how the works look but it is about what they say, mean, why they say it, and who they are for. I think that this kind of assignment offers students the possibility of getting used to thinking more critically from an earlier age. It gives them more empathy. Even if in the future they will do just typical client-based work – which most of them will likely do – they’ll have an expanded tool kit and an enlarged voice. I think that voice can also contribute to issues involving ethics, morality, politics, society. 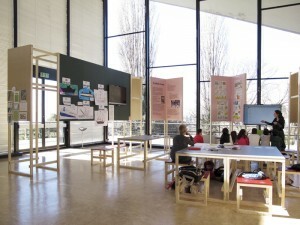 Aspects of authorship you discuss include the participation in and the curation of design exhibitions. Can you briefly explain how you view these activities as design authorship? SM: Design is both a noun and a verb, the object or the subject. So on the one side you have the design as the object on show, the authored work, the manifestation of the voice of the individual designer. On the other side, or on another level if you wish, you have the designer-curator, who defines a brief around which items are collected, selected and exhibited. In that respect I define the curated exhibition as an act of meta-authorship. Curating itself is an act of authorship in the way that the projects are aggregated and displayed. The exhibition can be about authorship and as authorship. I argue that the curator’s role is at a higher, more abstract level where he or she creates a scenario, establishes a set of conditions, a theme. In that way an exhibit becomes more intellectual and expansive than the mere portfolio show. I think that the curatorial activity is fascinating in that it occupies these hybrid states of being, both about something but also of something, both subject and object. 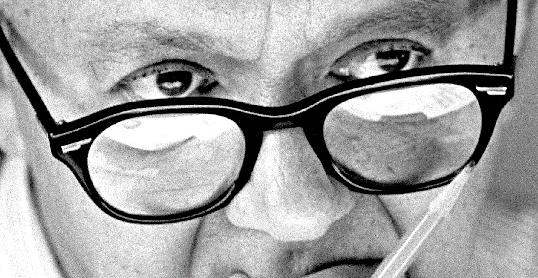 Statement: «American designer Paul Rand (1914 – 1996) defined design as a unified activity, based on analysis and governed by imagination. Throughout his lengthy career – in which he created some of world’s most successful and recognizable logos such as those for IBM, Westinghouse, UPS, and ABC – his design work was governed by fundamental principles that he identified in his writings, such as beauty, intelligence, repetition, symbol, and humor. Today, designers across the world derive influence and inspiration from Rand’s body of work, acknowledging that he set new standards for graphic design. 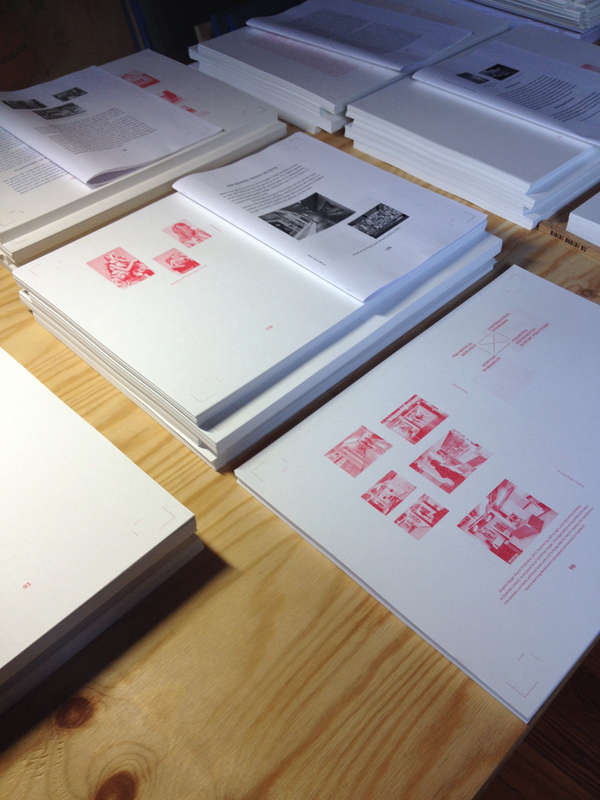 The proceedings of the conference Graphic Design, Exhibiting, Curating we organized in June 2012 are now in print. Bringing together a number of graphic designers, curators and critics engaged in exhibition-making and curating, the conference aimed at discussing the increasing engagement of graphic designers with exhibition and curatorial activities as means of production, mediation, discussion and dissemination of ideas and contents. Published by BU Press, the proceedings feature contributions by Brave New Alps, Charlotte Cheetham (Manystuff.org), Mieke Gerritzen (Museum of the Image, Breda), Lungomare/Lupo&Burtscher, Prem Krishnamurthy (Project Projects), and Jon Sueda; extracts from the discussions that followed each panel; and an introductory essay by the editors, Giorgio Camuffo and Maddalena Dalla Mura. 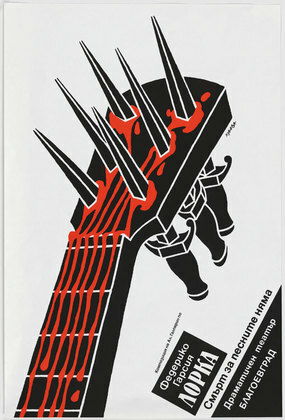 Graphic design of the layout by Martin Kerschbaumer. The book will be soon available for purchase from BU Press catalogue. Statement: «Né sur les cendres froides de Mai 68, dans un contexte de crise économique et de faillite des idéologies, et dans un monde en proie à une menace protéiforme et confuse (nucléaire, totalitaire, terroriste), le punk est un mouvement aussi paradoxal que fondamental. Révolution sans cause, ambiguë, chaotique et radicale, faisant un usage systématique de la provocation et du second degré, le punk prônait le no future tout en proposant à chacun de changer le monde. L’injonction Do it yourself, exaltant les vertus de l’action autonome et faisant de chacun un acteur/créateur potentiel, est un axiome qui n’a rien perdu de sa pertinence. Statement: «Modern design of the twentieth century was profoundly shaped and enhanced by the creativity of women – as muses of modernity and shapers of new ways of living, and as designers, patrons, performers and educators. 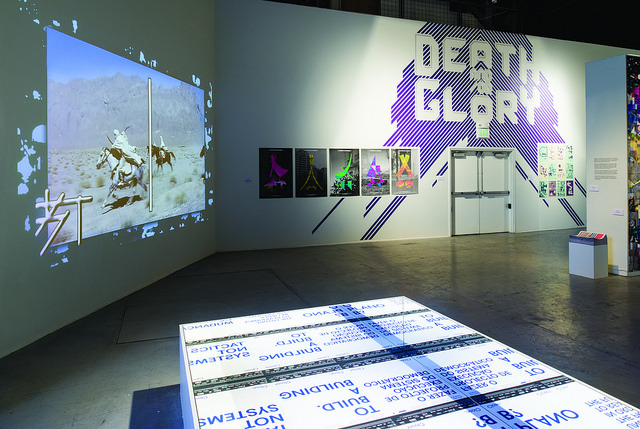 This installation, drawn entirely from MoMA’s collection, celebrates the diversity and vitality of individual artists’ engagement in the modern world, from Loïe Fuller’s pulsating turn-of-the-century performances to April Greiman’s 1980s computer-generated graphics, at the vanguard of early digital design. 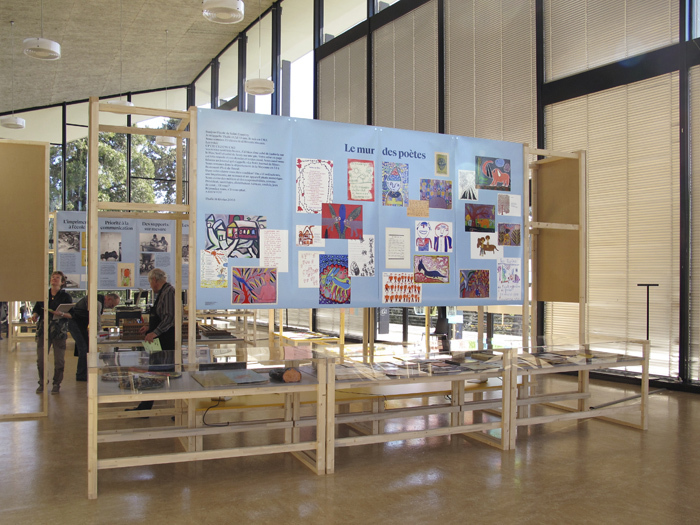 Highlights include the first display of a newly conserved kitchen by Charlotte Perriand with Le Corbusier (1952) from the Unité d’Habitation housing project, furniture and designs by Lilly Reich, Eileen Gray, Eva Zeisel, Ray Eames, Lella Vignelli, and Denise Scott Brown; textiles by Anni Albers and Eszter Haraszty; ceramics by Lucy Rie; a display of 1960s psychedelic concert posters by graphic designer Bonnie Maclean, and a never-before-seen selection of posters and graphic material from the punk era. Statement: «Il fut un temps où la culture française du graphisme n’avait qu’un nom et qu’un support : l’affiche. Être affichiste c’était être grand, seigneur et libre. Sur tous les tons, tous les sujets, de l’image au texte, du populaire à l’excellence. Faire l’affiche à la française permettait à la fois de réaliser son art et de tenir son rôle et son statut dans la société. La place, le rôle et le fonctionnement du graphisme sont aujourd’hui démultipliés. Aucun support n’est roi, la notion même de support est relative… mais pas dissoute, pas totalement dématérialisée. Derrière ce qui s’annonce comme sélection d’Affiches françaises, ce sont des mécaniques de communication et des démarches de créations plastiques et intellectuelles qui sont observées dans leurs états contemporains. L’affiche, par ses dimensions physiques, symboliques et plastiques s’avère, pour peu qu’elle ne monopolise pas tout l’espace médiatique, une excellente interface du graphisme et de la culture visuelle. Elle englobe aussi la proposition de se regarder soi-même à travers elle. Ce que les graphistes y ont mis à dessein a été reçu par un jury de professionnels (Vincent Perrottet, Pascal Béjean et Étienne Hervy) pour être transmis par l’équipe du graphisme à Chaumont à l’attention du public. Celui-ci se voit adressé tout à la fois un ensemble d’œuvres de création qu’il peut regarder comme telles et un corpus d’outils de communication dont la forme répond à un contexte et une commande donnés. Une des forces du graphisme est qu’être contemporain nécessite pour lui d’être autant au fait des pensées et sensibilités les plus actuelles que présent dans le réel.